When we finished renovating our nursery last year, I was expecting a baby but we didn't know if it was a boy or a girl. So we kept the nursery on the neutral side. Since Violet was born, I've been adding little feminine touches here and there. This is by far my favorite room in the house. Is that weird? I love all the textures and creamy colors. It just feels so warm and COZY! This is a little side table that I picked up at a yard sale for a couple dollars. I painted it pink and distressed it. This is a great way to do free art in a nursery! I hung a frilly pink dress on the wall using pins, then put an old frame around it. I think I had found the frame at Goodwill a few years ago and painted it white. Here is the other side of the teeny-tiny room. There are no closets in the room, so this is where all of Jack & Violet's clothing resides. I found the changing table at a yard sale and, of course, painted it white. No surprise there! Nothing fancy but it does the job. All of the furniture in the room was either thrifted or given to us or made by us. I hotglued little chalkboards (found at a craft store) to the front of these hanging baskets from Ikea. They are perfect for holding disposable diapers. We decided to keep this brick wall instead of putting drywall over it, which would have made it look newer. And we decided to keep the electrical pipes exposed. This room was built onto the house at some point, so this used to be an exterior wall. I just painted it a cream color. I wanted a lot of texture in the room, and I think this brick brings texture as well as character. The window looks into Jack's bedroom. The green cabinet is a laundry shoot that I wrote about in this post. The mirror was a $10 find from Pottery Barn Outlet. I handpainted the lettering and made the crib bedding. Just don't look too closely! I'm not exactly a great seamstress! I made it myself, because I just couldn't find anything that worked for me without spending a ton of money. Here is what the nursery looked like when we bought the house. Paneled walls, tiled ceiling, concrete floor - pretty much a disaster. We just used it for storage for the first few years that we lived here. And here it is now - cozy and much loved! Looks so pretty; love the little diaper baskets! I have a similar idea in my guest room holding mints. Stop by the Beach Bungalow sometime for a peek. The most perfect nursery Ive seen so simple and soft. It's so lovely. Would you mind sharing the paint colors you used on the wall? I love the combo. Beautiful little space for a princess..great job! Great Job!! Feels like such a cozy haven for a baby. I am expecting my first and have been on the lookout for a cute changing pad....yours caught my attention!!! Love it!! May I ask where you got it? or if you made it. Thanks!! Looking forward to the tutorial on the storage boxes. They are darling! What a perfect nursery! I love everything! Girl, you are so darned entertaining! I never know what you are going to be up to next. I like the new "look" of your blog, as well. 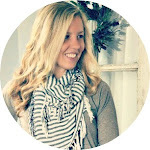 Your blog is so cute and creative! The nursery is absolutely beautiful and very unique! I love the nursery too! You did a great job of putting it all together...it's nice to do some girl decorating too! Love it! The room is beautiful and original! what a cute nursery! love how most everything was made by you or redone by you-makes it so much more rewarding to look at that beautiful room!